I’m a musician and music teacher. I love this app and use it all the time. 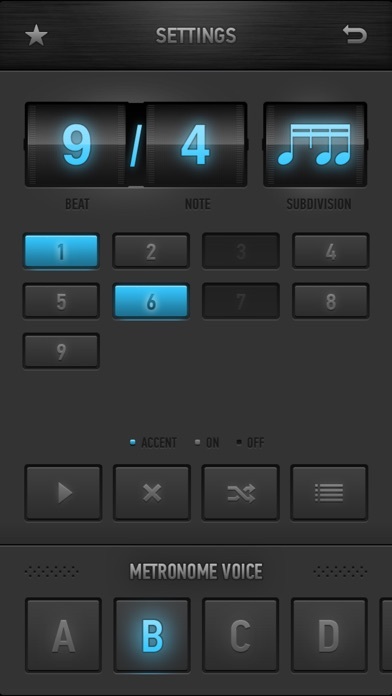 I have had several metronome apps and this is by far my favorite. I appreciate that you can have a click or light pulse to keep time. Just give it a shot I love it! It’s a simple perfect app easy learning especially with any instrument practice. No complaints! Just music! Simple yet meet my needs. I only use this for a rudimentary metronome and to keep our drummer in line during rehearsals! I have not explored much of its functionality, but it meets my basic needs. Really enjoy all the features and is very intuitive! You won’t be disappointed in the paid version. Perhaps you guys can give us options to change colors of UI illuminations? Instead of only blue, possibly green, orange, purple, red? Otherwise love it. Thanks! My band teacher said that I should use this app for my Xylophone and it works so good that I would never delete this app in a million centuries. 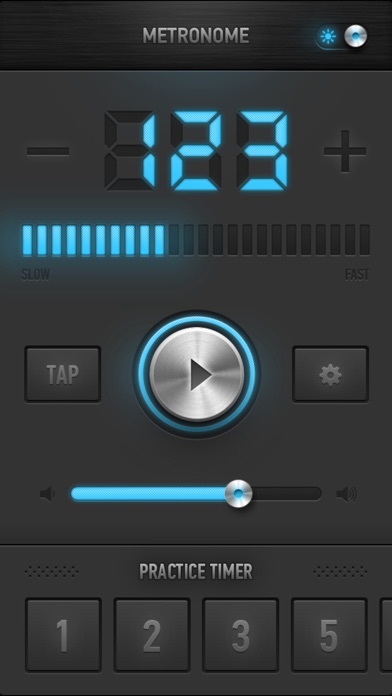 This app helps me with the speed of songs, the beat of the songs and it is cool because you could change the mode for it! Excellent app that is very user friendly. Easy to use it on my iPhone with iPhone sitting right along side my music on the piano. 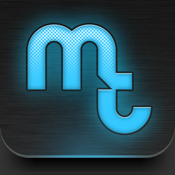 The best free met on the App Store. The timer function is what really sets it apart. Simple. Easy to hear. Love the timer. My playing is improving rapidly, and it’s not just because I’m using this very easy-to-use, super convenient metronome — it’s because the Omer option keeps me focus (and honest, ha!) about how much work I’m doing. If you’re looking for a simple, audible metronome w/different click options and a timer function, this is it. This app has been a real boon for my duet recorder partner and me. Easy to use and has helped our practice a lot. Thanks! Does exactly what I needed it to. This app is so awesome for mastering my piano skills.bi recommend it! I have had steady beat ever since I started using it! Free version works for basic time keeping. I use it many times in my piano lessons. Greatest metronome of all time!!! I’ve used it for a few years now. I like its simplicity, and ease of use. There’s virtually no learning curve in using this app. It works fine as a basic metronome. I use it often enough. I’d prefer more selection in timing and pausing a practice session. From looking at the upgrade, though, I would consider a different paid app, as this one doesn’t up the ante enough to spend money on it. Helpful App with a few glitches. However, it could also be the iPhone. There is at times a hesitation after hitting play. I really like this metronome, because it’s so easy to use. I just wish that the flashing light was not so subtle. If it were a solid circle that flashed, it would be easier to see. I also wouldn’t mind if it ticked louder. I bought the metronome pro addition a couple of years ago. When I got a new phone the pro add-ons were gone and now it won't let me restore them. Please fix is you can! Love this app in every way. Just what I was looking for. Now I have a portable metronome I can use on the go. Good choice of sounds and flexibility. I wish it had a visual representation of the count. Other than that, I really like it. This app is great for CPR because it not only sets the pace for compressions it also times your two minute intervals between pulse checks! Highly recommend for any medical professional or even lay person who could ever potentially be in a code situation! This is so good for my oboe instructor and I to use during my oboe lesson. Great job! Great app, it really helps me practice my music accurately! I have tried many metronomes and this is the best. The only thing I would add is the clock. Every day I have to close the app to see what time it is. The timer allows you to practice by time instead of counting repetitions. But it needs to show the clock!!!! The perfect visual utilizing the camera light, is perfect for band practice. Works perfectly, not overly complicated with a bunch of features most people wont use anyway. The layout is simple and it's easy to adjust the tempo incrementally by 1 or by dragging your finger to make a large adjustment in no time. I use this while jogging outdoors or just jogging in place while I watch TV. The metronome was a good one, but it kept pushing me to make in-app purchases. It worked for a metronome, though. I play drums and this does everything I need it to do. I love this new addition to my practicing tools. It's simple and you can set the timer which makes you practice even harder. Thank you! Easy to use interface. Does its job - keeps the beat steady! Saves me from running a metronome and timer at the same time. Easy to use, it’s an integral part of my practice routine. App recommended by therapist as a tool for vertigo therapy. Very helpful for keeping track and keeping rhythm. Must’ve been developed by musicians. Really good basic metronome. Good volume. Most are too soft. To play hard piano to. Not this one. Thanks for this app! It helps me keep steady while I’m practicing my Trumpet. No more dragging around a metronome. This app works like a champ. Better than the old clickers and the old electronic devices. Love technology. I use this in my work as a conductor, composer and teacher. The interface is immediately understandable, and the implementation is seamless, and utility is off the charts. Fantastic app! I use this app all the time when I play! It is so nice to have a practice timer and a metronome in the same app!! Two small suggestions are: 1. Longer practice time. I sometimes practice for 1 hour to 2 hours so it would be nice to add 1,2 and 3 hour times 2. Larger range of metronome pitch. It is good to be able to hear the metronome when you are playing high notes and when you are playing low notes. These are very small suggestions and they do not at all hinder the performance of this app. Great App! Love the practice timer presets. It's so simple but it's got all I need. Tempo and timer. Solid. 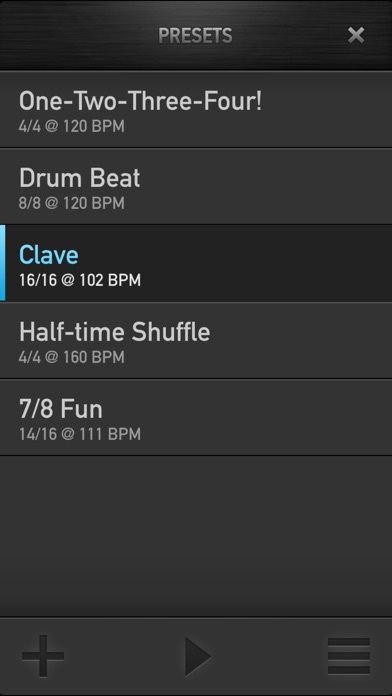 Very usable app and reliable tempos! This app is very reliable. You can easily use it and adjust the sound to just your own taste! I use it to help play my piano every day. It has never had anything go wrong with it! It is truly an wonderful app. I like how it counts the beats. It also helped me on my audition when I had it. I would recommend this app to anyone who needs it. The one thing that I don’t like is the in app purchase. I mean, yeah, I can just count in 6/8 time with just the beat, but it’s hard for me, so I need the person counting. Just wish i had a tuner but im glad it has a timer on it and a metronome better than most metronome apps for sure! This truly helped me a lot. I can now count w/ the beat and stay w/the beat by listening to this tuner. It has helped me a lot and I hope that is the same for everyone else who uses this. I hope in turn that when you are in need of a tuner or something to help you count that you read all these great reviews and pick this one. This WILL help you w/ all challenging pieces and help your students too. I encourage you to use this for your own good to help you if you are like me, and have trouble staying steady on the beat. One last thank you to the people who made this app! Fantastic app, I recommend it to all of my students.